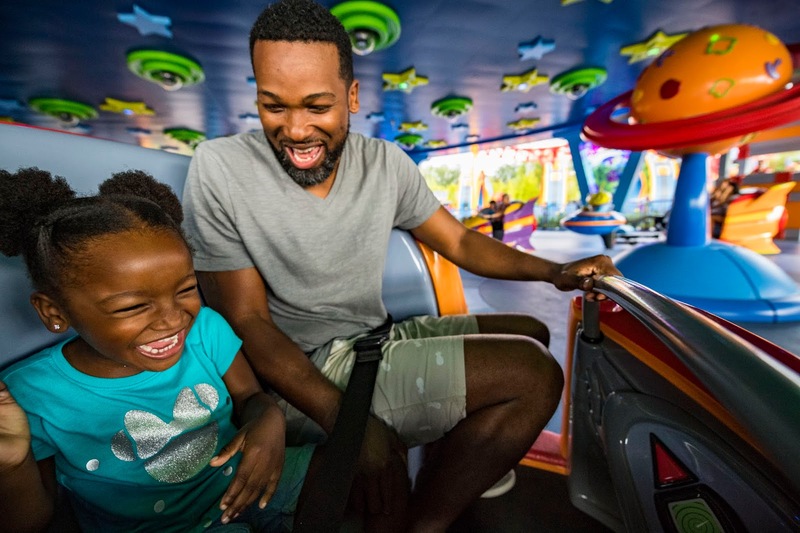 Three-eyed Toy Story Aliens take guests on a whirling flying saucer ride in toy rocket ships as part of Alien Swirling Saucers, one of the new attractions inside Toy Story Land, opening June 30 at Disney’s Hollywood Studios. 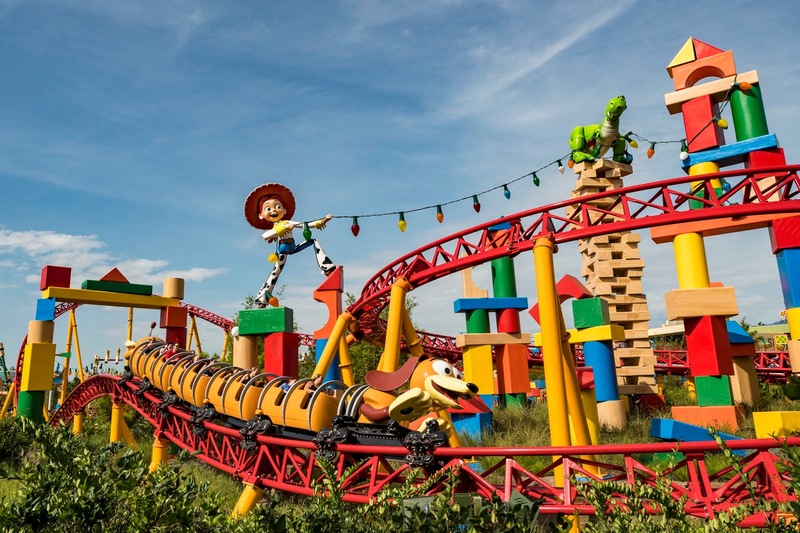 As guests become “honorary toys” in the new land, they encounter Alien Swirling Saucers, a play-set that toy-owner Andy of Pixar Animation Studios’ Toy Story films won at the Pizza Planet restaurant. 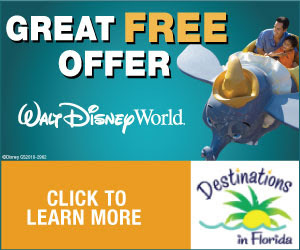 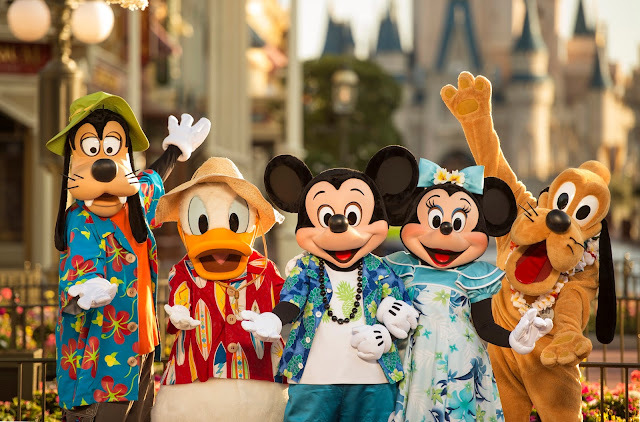 The new attraction whirls and blinks with colorful lighting, electronic space music and nonstop fun. 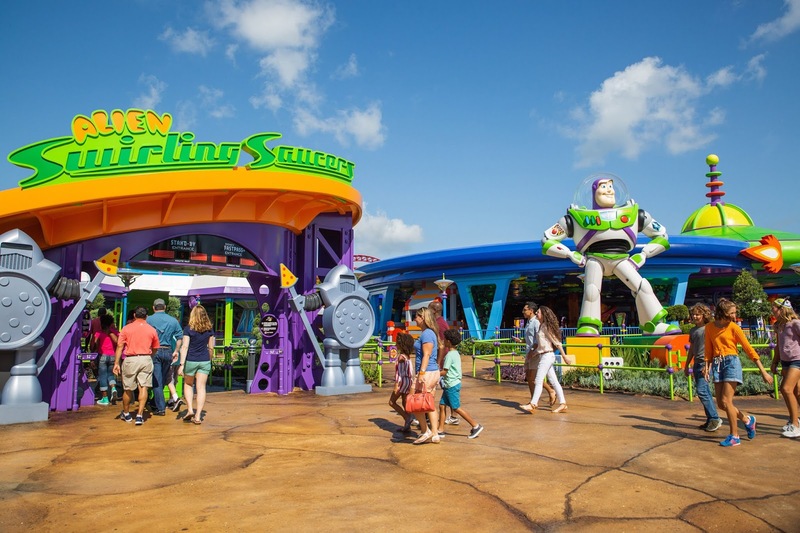 Before boarding Alien Swirling Saucers, guests can pose for a photo with a Buzz Lightyear action figure standing more than 14 feet tall on top of toy building blocks near the entrance to his Star Command Space Station Play-set. Toy robot guards flank the Pizza Planet-inspired marquee. 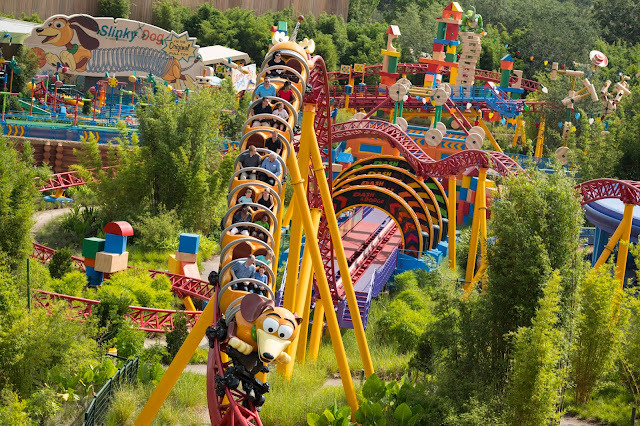 Guests who are spin-averse can swirl vicariously by watching from the viewing area in between and around the play-set. 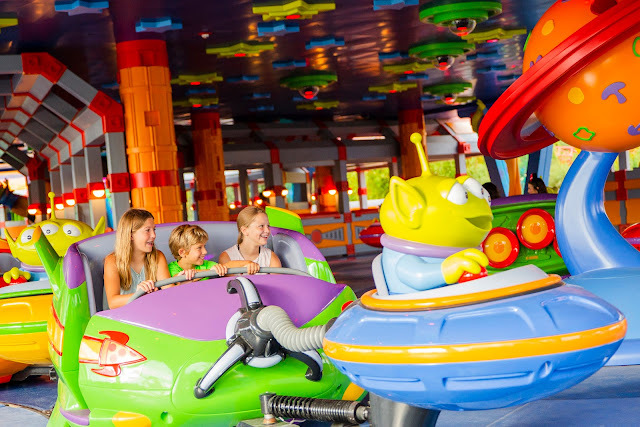 Before or after a spin on Alien Swirling Saucers, guests can pose for an out-of-this-world selfie with a stationary, photo-ready green Alien in its colorful saucer just outside the attraction. 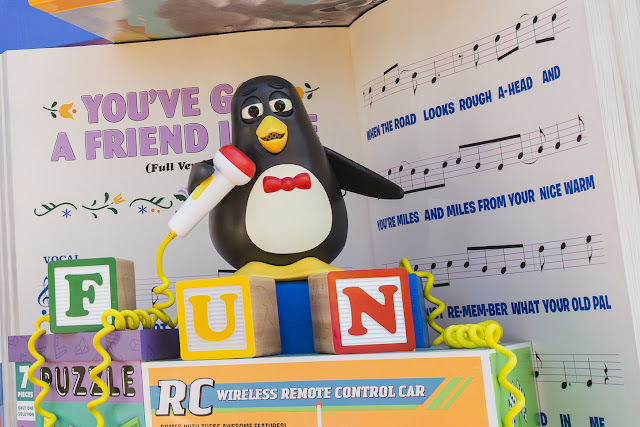 Toys of all makes and sizes – from a 10-foot-diameter “rubber” ball to colorful Cooties – have been carefully placed by Andy among the landscape of overgrown grasses, toy shrubs and play-set trees throughout Toy Story Land. Jumping on the coolest canine toy ever, guests are in for a rollicking good time as Disney’s Hollywood Studios unleashes Slinky Dog Dash in the new Toy Story Land at the Walt Disney World Resort. This multi-launch, family-friendly roller coaster careens around bends and “catches air” over camelback humps as it runs across the 11-acre land.